Reality: Even though it’s believed by 74 percent of respondents, it isn’t true. Boat insurers generally price policies based on claims in each state. For example, Ohio customers won't pay more for insurance because of hurricanes in Florida. Reality: Buying more than one product from the same insurance company doesn't mean you get the best rate – even though 45 percent of respondents thought so. Boaters can save by shopping around and combining specialized policies from different companies. "It’s important to understand what’s available," said Dominic Mediate of Progressive. "You want to be properly protected in case your boat is stolen, you get into an accident or contents are damaged. We’re separating fact from fiction so boaters can make the best insurance decisions possible." 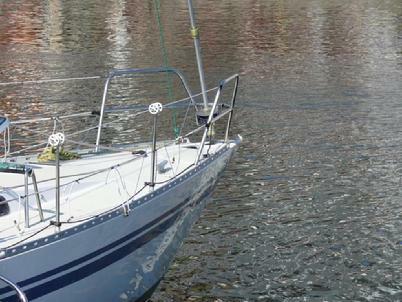 Summer is over, and you�ve taken your boat out of the water. To save a few dollars, you cancel your boat insurance. After all, what could possibly happen to your baby while it's hibernating? A lot, according to Progressive. �You'd be shocked at the number of claims filed in colder months," says Dominic Mediate of Progressive. "Nearly two out of every 10 Progressive boat claims filed in northern states happen between Labor Day and Memorial Day." Most claims are filed for one of these reasons, which can occur anytime of year. Without coverage, boats damaged by fire, theft, vandalism or flooding aren�t protected. Some boaters don�t realize they could be responsible for injuries that occur on or around their boat � even if the injured person was there illegally. Without liability coverage, you could be responsible for the damages or the injured person�s medical bills. Keeping your policy all year round might also save you a few bucks.For example, Progressive's disappearing deductibles reduce your Comprehensive and Collision deductible 25 percent for every claim-free policy period. Four policy periods in a row without a claim equals a $0 deductible. Before you take your motorcycle on the road or put your boat on the water, it may pay to be certain your insurance is ship-shape. Motorcycles and boats are often significant investments, and the right insurance policy can help protect them. Here are a few tips, courtesy of Ford Insurance Agency. • Evaluate your specific needs. Insuring a boat or a motorcycle is different than insuring your car or home. A specialized motorcycle policy, for instance, can provide coverage for custom paint jobs and aftermarket equipment that might not be covered if the bike were just added to a generic auto policy. • Similarly, a specialized boat policy could cover things like the cost to replace lost or damaged fishing gear and costly services such as emergency on-water towing and fuel-spill cleanup. You probably wouldn’t get this coverage by adding a boat to a homeowner’s policy. • Consult with an independent agency – like Ford Insurance Agency. Unlike “captive” agents who represent only one company, independent insurance agents and brokers are licensed insurance professionals who represent several companies. They can offer you a variety of coverages, review and evaluate your policies, suggest new coverage options that meet your changing needs and answer your questions.